Whether it’s summer preparation for standardized tests, AP coursework preparation for the fall, or getting through the college application process, our small-group sessions will provide your student with the support and guidance they need. The Mini Globe Trekkers program is an interdisciplinary global exploration that will take your child on a deep study of culture and geography of countries from around the world. Each program focuses on a trip to different country, like Thailand, and each class has a specific educational focus that incorporates at least four major disciplines. After learning about particular aspects of that country’s history, geography, and culture, students will produce their own mini-presentation of their travels. Sample activities include planning a travel budget (mathematics), exchanging American currency for Thai currency (economics), and visiting the Wat Mahathat, a Buddhist temple in central Thailand (cultural and history). These week-long courses will culminate with students writing scripts and creating their own video program based on the award winning series “Globe Trekker.” Maximum Enrollment of six students per class. Students meet for three (3) hours per day - five days per week - for one week. 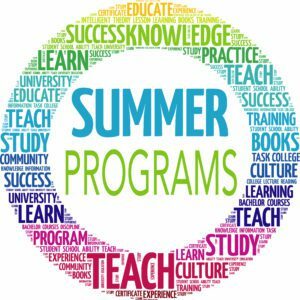 Summer Academy is the ideal time, under the supervision of Summer Academy instructors, to carve out summertime practice in math, writing, reading or even focus on a personal summer project. In between summer sun and fun, get a jumpstart on strengthening skills or previewing material for your next school year. Similar to our Homework Academy you can purchase a single class session or in packs of 10, 20 or 30. Any left over Summer Academy slots can be used for Homework Academy in the fall. Looking for an engaging, socially stimulating activity for your student this summer? Empower your children! The EmpowerYOU program at Education Station supports the growth and development of students by helping them discover their authentic selves. In a safe and interactive environment we will help participants understand who they are, teach them how to confidently formulate and communicate their goals, challenge and guide them as they strive to unlock their full potential. Each program is tailored specifically to the student’s developmental stage. Students meet for three (3) hours per day. Students may attend only one session, or they may sign up for all five. 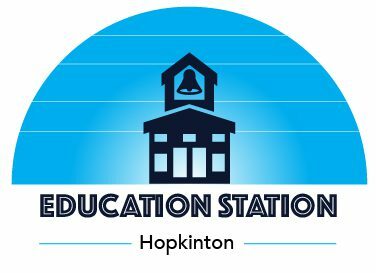 Maximum Enrollment: six (6) students per class. Students learn more about themselves through the classes and activities they choose. Learning about what they are good at and how to further develop strengths and talents is the focus of this session. Are there areas of interest that have yet to be uncovered? We will engage students in activities to assess skills, interests, and strengths as well as challenge them to explore undiscovered areas. In today’s world of technology, students’ ideas of relationships are misguided by the number of followers or likes on their social media feeds. This can create a level of insecurity and inauthenticity. In this time of fast moving technology there is a need to support the practice of face to face interaction and effective communication skills. Students will understand the power of meaningful relationships and how those connections will support their future goals. How would you describe yourself to others? You are the totalities of your hobbies, interests, like and dislikes. It’s exciting to learn about what we do like, but knowing what we don’t like is just as important. In this session, we will explore together your unique interest profile and delve into the sweet spot of your success through self discovery activities. You will create a vision map of your path to personal success by celebrating the person that you are. With a new found understanding of all that makes you, YOU, and aligning this understanding with future opportunities. We are all problem solvers but how we each solve problems is the difference in measuring success, growth and development. Flexible thinking, forward thinking, creativity and understanding the power of being in the moment are how we arm our students to develop next level problem solving skills. With high school only a couple months away, we will walk students through what to expect in their next four years and best practices to start them off on the right foot. Taking the time to reflect on the middle school years is an important part of the transition as well. We will engage students in reflective activities and close the series out with an opportunity to share with the class. Long after you’ve graduated from Middle School, what is it that you hope to be remembered for? Is there that one thing you do, that defines who you are? Have you left a mark on someone or something or wonder how you can help to improve on what has gone before you? During this session we will ask students to consider what they may leave behind to enrich the community in which they live and learn. A time for students to pause and take an inventory of what they are most proud of after another year of middle school! This celebratory session will showcase students’ victories through various types of creative expression as we empower them to confidently share their experiences with the class. Students will develop a foundation for strong communication skills as they reflect on and celebrate their growth and experience. High School is underway and there is lots to do! Students will learn to master the art of time management, understand the value of creating their own master schedule and uncover the importance of balance as they engage in their school community. Understanding GPA is so vital to academic success and yet grades are only part of your story. In this session, we will unpack the important study habits and skills behind the grades map your academic plan for High School and beyond. Students should come prepared to discuss their course selection and academic interests. With the use of the PRINT ® survey, administered by a certified practitioner, you will gain a deep understanding of what motivates you to be your best self. The survey will also provide you with an understanding of what triggers you and strategies to manage challenging situations. As students begin to think about post graduation plans, this information will offer information to help guide students to making the best decisions unique to them. Now is the time to start tracking your activities. Together we will build your resume and begin the foundation for recording your accomplishments as you learn how to best present what it is that you do outside of the classroom. This session will also include an introduction to interview strategies complete with role playing exercises. Students will take stock of our current relationships and evaluate the meaning of each. Together we will learn about the power of “digital footprints” and review the importance of understanding how we represent ourselves online and in person as it relates to communicating a personal brand. Through interactive role-plays and discussion students will be given the opportunity to evaluate current relationships and develop an outreach plan for new ones as it relates to achieving personal goals in high school and beyond. Like anything else, strong writing takes practice. Let’s get started by looking at your personal story board. As you prepare for future essays, get a head start on getting it right. Pressure is low and ideas are high- come ready to brainstorm and write! Where did the year go? Let’s reflect on your academic year, share summer plans and set goals for September. College is on the horizon, but it is not too early to start learning about opportunities and asking questions. We will talk about school types, majors, minors and more. Bring your dreams and goals and get ready for some vision boarding! In this information packed session we will review many of them including a post graduate year at a boarding school, a gap year, community service based and academic programs, study abroad opportunities, work, or even create your own gap year! As you gear up for your college search equip yourself with key college search criteria. Understand college application timelines, expectations, components and what goes into building a college list that meets your needs. Included in this is test prep considerations and college entrance exam options. As students transition into middle school and high school, they face anxiety about change. Why not have them come in to get excited, set goals and manifest what their most positive dreams might be? Our empowerment team will guide students as they create vision boards that will help them face their transitions with positivity and confidence. AP Ready Workshops are designed to set students up for success by building fundamental skill sets prior to entering an AP course. Students will review basic prerequisite course content, as well as critical reading, writing, and problem solving skills they will need to be a successful AP student. This program will place a particular emphasis on the math and modeling skills necessary to be successful in the AP science courses. A heavy emphasis will be placed on extracting core information from reading, developing mathematical models from scientific information and laboratory skills. Students will also be introduced to key components of the AP exams and taught strategies to prepare successfully for the AP exams over the course of the academic year. AP Social Sciences tend to be reading intensive. The AP Social Sciences course will emphasize the annotation and note-taking skills necessary to extract critical information from these readings. This course will additionally review methods to review and understand primary source documents in their historical context. Heavy emphasis will be placed on DBQ and LEQ writing so that students receive exposure to material that is worth 40% on the AP exams. AP Mathematics will focus on core precalculus and statistics and probability content that students need to be successful in the AP courses. Students will be taught additional study skills and directed to resources that they may refer to throughout the year. Students meet for two (2) hours per day - five days per week - for one week. Examples of books students may be assigned to read can be found using the link below. Please note that a student’s book assignment will be in alignment with that student’s grade level texts assigned by the school district. Be an active,engaged and fulfilled student! Our summer study skills workshops are geared towards supporting school transitions to make students are successful in the navigation of essential skills to help them navigate their school lives. Can’t Make a Scheduled Study Skills Workshop? Schedule a Study Skills Workshop for your student and their friends! If you can get a small group together (3-6 students) we will work with your schedule. Call us directly to set it up. Students meet for 90 min per day. Our standardized test prep courses provide students with the tools, knowledge, strategies, and confidence to demonstrate success on the ACT and SAT tests. We offer these classes in two formats during the summer. Either in a six-week prep course format OR in a two-week intensive format. Both prep courses feature free baseline testing and 24-hours of instruction with a trained and experienced facilitator. Students also receive a course manual, which includes practice exercises, strategies, tips, and one full practice test. Six Week Prep Course Option: Students receive 24 hours of instruction - two (2) hours per day, two (2) days per week - for six weeks. Two Week Intensive Course Option: Students receive 24 hours of instruction - three (3) hours per day, four (4) days per week - for two weeks. Three two-hour sessions are offered on Tuesday, Wednesday and Thursday right before the exam. Students will work on testing strategy, timing, and problem-solving. They will take practice test sections and receive guided support to optimize results. Sessions can be bought singly or as a 3-pack. Get Your College Application Ready this Summer! Attend one of our Five-day College Application Boot Camps. Rock it Out & Start Senior Year Stress Free! Our unique approach to college counseling empowers students to recognize their personal qualities, to market themselves, and to find the best college fit for them! Before the session begins, be sure to schedule a free 30-minute profile evaluation with our experienced college counselors who will review your goals and profile, and work with you to create a personalized map for you to navigate the college process. Each student would participate in five, 4 hour sessions from 1:00 pm - 5:00 pm. Students may choose single day options or our full, five-day program.